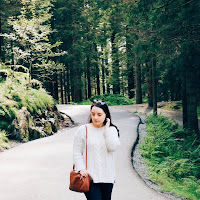 July has been a very busy month in terms of events, being a bridesmaid, birthdays and holiday planning as well as the busiest blogging month ever so I'm a little behind with reviews, sorry! 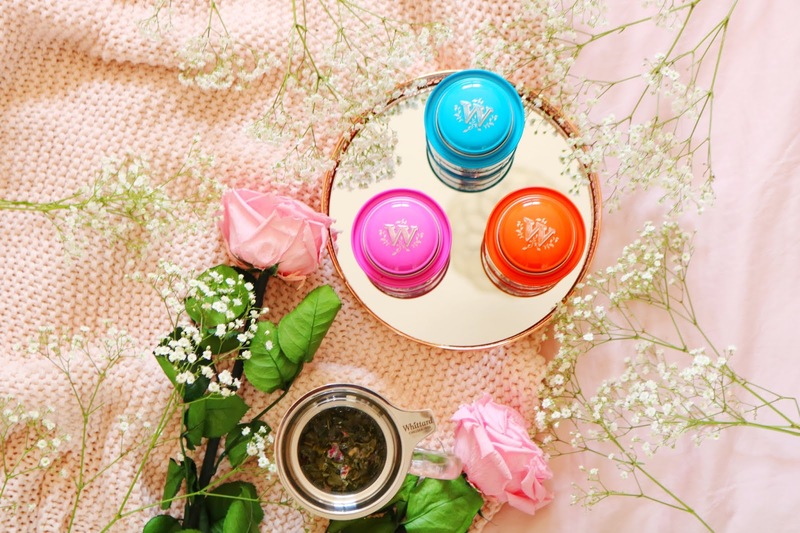 Today's post is all about three wonderfully refreshing summer teas from the very lovely people over at Whittard of Chelsea who I'm lucky enough to be working with on this post. If you follow me on Instagram (@ofbeautyand), then you'll have seen my unboxing of these pretty summer teas already. The new summer tea range is all about ditching plastic teabags and using a more environmentally friendly loose leaf tea which comes in these utterly gorgeous and very summery caddy containers. There are three to choose from or if you can't decide then you should purchase all three as they are currently on offer (3 for 2) in the Whittards summer sale so go, go, go. My favourite caddy design of the three has to be the pretty in pink cherry blossom option which features some of my favourite flowers, cherry blossoms. I think the illustrations on the caddy packaging are so pretty, they look very vibrant in the kitchen and they'd make a lovely gift. One thing I love about the packaging is the cute second lid, which to me, it makes it look more expensive than it is. The cherry blossom flavour is a green tea with flavourings, peony flowers and rose petals so it looks very pretty when it brewing. I adore the scent of this tea, it's very cherry, floral and sweet smelling and when brewed it remains floral and summery. The cherry blossom tea reminds me of spring because the huge cherry tree in our garden is always in full bloom during the spring but this next tea definitely reminds me of summer, sunshine and holidays. The packaging design again is so pretty, jungle inspired and looks great with the other designs. 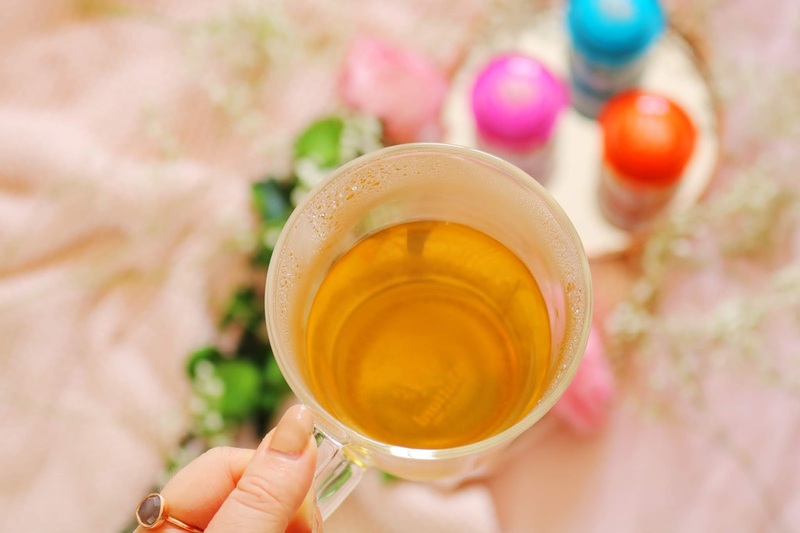 It is a green tea with flavourings as well as mango pieces, pineapple pieces, orange petals and rose petals so naturally it smells like summer in loose leaf tea form! I love that you can see the little mango and pineapple pieces and the petals within the tea - it just smells so delicious, refreshing and Whittards describes it perfectly as "exotic confetti". Unlike some loose leaf tea I've tried which are very subtly flavoured and fairly weak, these loose leaf teas are very flavourful so a little goes a long way! I like all three favour options but I think that this one is my favourite! Last but not least is the tea with the most vibrant, colourful caddy and it's the English fruits option. I love the design for this caddy, it's so colourful and abstract. It's a black tea with flavourings and raspberries, apple and cranberry. As with the other two summer tea options, it's fresh and it is also fruity and berry flavoured without being overly sweet. Sadly out of the three options, it's my least favourite but I did still like it; however I think the passionfruit and mango tea is the overall winner for me! I have definitely been put off from buying loose leaf tea because I think it's going to be messy, inconvenient and to be honest, with some infusers in the past it has been! However, Whittards have the answer to clear, fuss free loose leaf tea brewing with their Pao mug which comes in a variety of colours but I had to choose the more unusual clear glass option. The Pao mug isn't just a mug, it comes with an infuser! The glass mug is the perfect size, it looks so unique (I also love the glass tea cup I have) and it is ideal for iced tea. The stainless steel infuser is so easy to use, very quick to clean and the mug comes with a little tray to place the used infuser on when it has done it's job - the tray can also be used as a lid for your Pao mug. Don't worry about the glass mug as it's composed of borosilicate glass which is heat resistant and very durable. 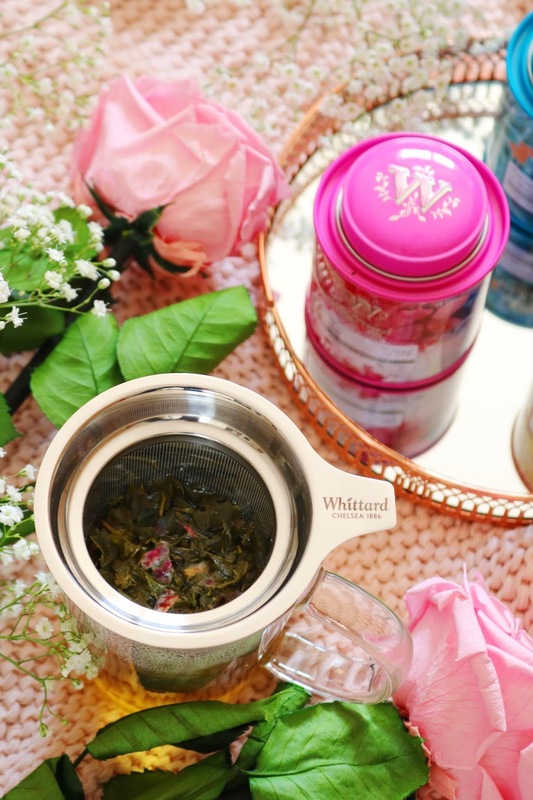 I'm loving the summer teas from Whittards especially the passionfruit and mango tea and the Pao mug is a must too, it makes brewing loose leaf tea so quick, easy and mess free - it's also plastic free which is definitely a plus. Check out their current summer sale which features all three of the teas I've reviewed in today's post! Will you be checking out the Whittards summer tea range or their summer sale? Do you like loose leaf tea? I'm not really a fan of fruity teas, I only drink "normal" tea but this looks nice! I've only ever tried their white hot chocolate at Christmastime but wow it was amazing. I still have the tin. It was too pretty to throw away. 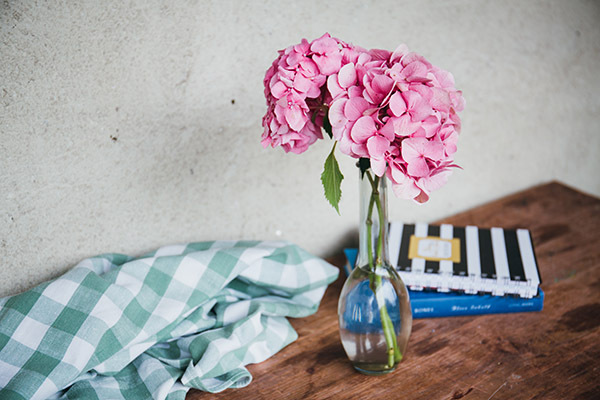 So pretty and summery! I’ve never tried loose leaf but I have tried Whittards Mango and Bergamot tea and it was so nice. I’ve been getting into more fruity teas this summer so I’ll have to give these a try. I am loving different teas at the moment, they can be so lovely and refreshing! I don't like tea but the packaging of this is beautiful. I wish I was into teas like this! I'm very unadventurous in that way, but these make it so tempting! 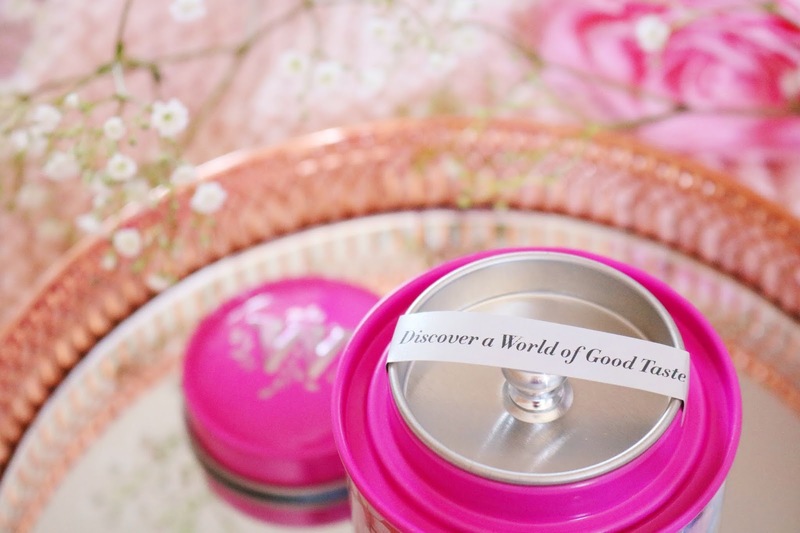 These teas look and sound absolutely amazing! There is nothing better than a good cup of tea! I used to love Whittards, I need to go get some more because I used to love their iced teas! I'm really not a huge fan of tea but the flavoured ones sound interesting. I've just been getting into loose teas and absolutely love them! I love loose leaf tea, it’s so tasty. They sound super yummy. I really want to try their tea!